The FDA has announced to healthcare officials and patients that Topamax or generic topiramate used during pregnancy may increase the risk of oral cleft defects. As a result, new warnings will be added to the anti-seizure and migraine medication to advise women about the risk of potential cleft lip and cleft palate birth defects. According to data provided by the North American Antiepileptic Drug (AED) Pregnancy Registry, newborns whose mothers took Topamax while pregnant had a birth defect rate of 1.4% versus a defect rate of 0.55% in infants whose mothers took a different anti-epileptic drug, and a 0.38% defect rate among the general public. The FDA reports that Topamax related injuries and defects occur early during the 1st trimester at a time when many women do not even know they are pregnant. These injuries vary from a small groove in the lip, to a larger notch that extends into the roof of the mouth and nose. The injuries can ultimately affect how a child eats and talks, and may also cause recurrent ear infections. Surgery is performed to close the lip and palate, and in most cases the surgery provides excellent results. The FDA has changed Topamax’s pregnancy category classification from a “C” drug to a “D” drug. A drug is labeled category C when fetal risks are suspected, but no conclusive human testing has confirmed the risk. A drug is labeled category D when there is evidence from human clinical testing supporting fetal risk, but the benefits of the drug outweigh the potential risks. Pregnant women and women of childbearing age should discuss alternative treatment options with their health care professionals before taking Topamax or topiramate. 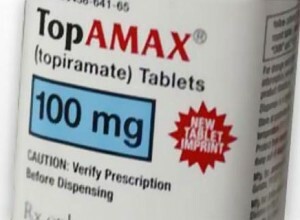 Women taking Topamax should inform their doctor if they are pregnant or plan to become pregnant. If you are taking Topamax do not stop until speaking with your doctor. If your child has suffered a birth defect or injury, Topamax may be responsible. The lawyers at Parilman and Associates will help determine whether you are entitled to compensation as a result of the drug manufacturer’s failure to warn patients about oral cleft defects. Call 1-800-391-8000 immediately. This entry was posted in Blog and tagged birth defect, defective product Topamax, Topamax birth defects, Topamax related injuries. Bookmark the permalink.